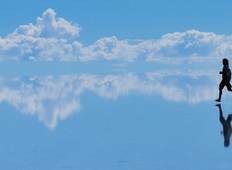 Find your tour through Uyuni. 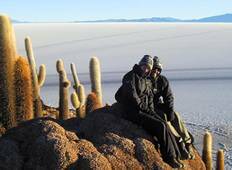 Experience the best of Bolivia, exploring Sucre, La Paz, and the famous Salt Flats of Uyuni. Fall in love with the Andes, witnessing the incredible rock formations shaped by eroding winds, and exploring its rich flora and fauna in the best national parks of the region. "I had a wonderful experience with my tour group members. They were lovely and the..."
"Excellent guide, professional, helpful and knowledgeable. Detail and considerate..."
"mohammed,, and i assume it is the same mohammed i had was very good (and funny),..."